DESCRIPTIONDo you like helping U.S. Intelligence Community agencies implement innovative cloud computing solutions and solve technical problems? Would you like to do this using the latest cloud computing technologies? 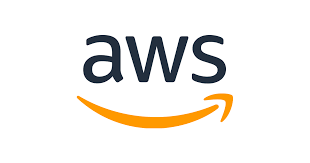 Amazon Web Services (AWS) is seeking an experienced Technical Program Manager to manage critical core infrastructure projects, manage intra-organizational customer relationships, and provide leadership during unplanned operational incidents. AWS is a subsidiary of Amazon.com and a leader in Cloud Computing; this is a unique opportunity to play a key role in an exciting, industry-leading technology business. As a Program Manager your responsibilities will span multiple theaters, customers, and projects. Business-impacting projects you would be responsible for will enhance data-center efficiency through automation. The projects require timely execution with the highest degrees of security, performance, availability and reliability. Our ideal candidate is a highly motivated, extremely organized individual with experience in creating methodology and building value at a global scale. The role requires the ability to quickly assimilate knowledge spanning numerous technology subjects and apply this to projects, products and operations. Working with Support, Systems, Development and Process engineers, you will drive significant initiatives to improve data center operational efficiencies. · This position requires that the candidate selected be a U.S. citizen and must currently possess an active Top Secret security clearance. The position further requires that, after start, the selected candidate obtain and maintain an active TS/SCI security clearance with polygraph and satisfy other security related requirements.